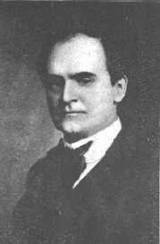 William Walker Atkinson (December 5, 1862 - November 22, 1932) was an attorney, merchant, publisher, and author, as well as an occultist and an American pioneer of New Thought movement. He used many pseudonyms for his works like Theron Q. Dumont and Yogi Ramacharaka and Swami Panchadasi. # Law of the New Thought: A Study of Fundamental Principles & Their Application. 1902. # Memory Culture: The Science of Observing, Remembering and Recalling. 1903. # Memory: How to Develop, Train, and Use It. c. 1911. # "Mental Pictures", an article in "The Nautilus" magazine. November 1912. # Mind and Body or Mental States and Physical Conditions. 1910. # Mind Power: The Secret of Mental Magic. Advanced Thought Publishing Co., Chicago.1912. # New Psychology Its Message, Principles and Practice. 1909. # Practical Mental Influence. 1908. # Clairvoyance and Occult Powers. 1916. CLAIRVOYANCE AND OCCULT POWERS by Swami Panchadasi is a wonderful book on the practice of clairvoyance. Clairvoyance is also called ESP (extra sensory perception) or Second Sight. In plain words, it is the power to perceive things that are not present to the senses. It teaches you the ways to develop this ESP. Please read the copyright terms before downloading. Downloading implies your acceptance of the terms.